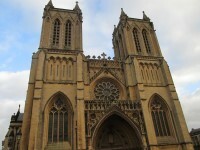 Originally founded as a 12th-century monastery church, Bristol Cathedral was heavily remodelled during the 19th century. 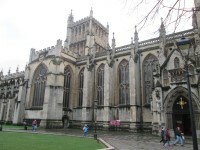 It's one of Britain's best examples of a 'Hall Church' (meaning the nave, chapels and choir are the same height). Although the nave and west towers are Victorian, parts of the choir are medieval, and the south transept contains a rare Saxon carving of the Harrowing of Hell, discovered under the chapter-house floor after a 19th-century fire. 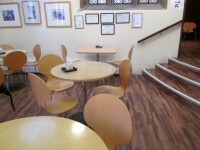 Services / facilities within the building include the Cathedral Church, Chapter House, Cloisters, cafe and toilets. 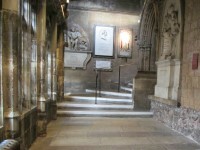 There are steps between the Cathedral nave and the Chapter House, Cloisters, cafe and toilets. 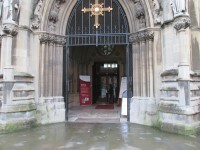 There is level access to the Cathedral from the front entrance and to the other areas from the Cloister entrance. 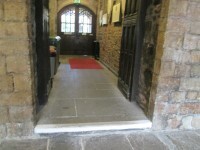 There is an external step free route from the front entrance to the Cloister entrance. 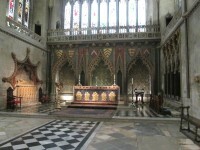 Choral Evensong or Evening Prayer takes place on weekdays at 17:15 and at 15:30 on weekends. The dimensions of the standard marked parking bays are 250cm x 450cm (8ft 2in x 14ft 9in). 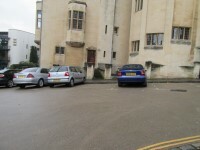 Standard marked parking bays are located to the side of the Cathedral within the Cathedral Choir School Car Park. The advertised parking is in either Millennium Square or on St George's Street, both of which are slightly more than 200m from the Cathedral. 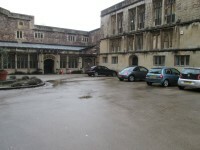 There is some parking in the Cloister Courtyard but it is for authorised use only and currently gives access only to the accessible toilet, the cafe and the Chapter House. 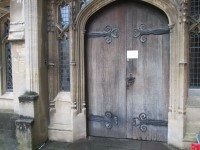 The door opening is 360cm (11ft 10in) wide. The door(s) open away from you (push). The door opening is 92cm (3ft) wide. 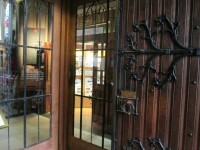 There are double doors which are opened for events and can be opened if required for access. 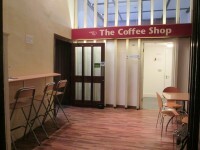 The double doors are 240cm wide. 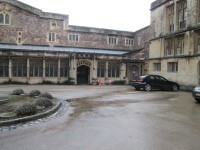 You are on Outside Access (Cloister Entrance). Skip to the next section. This information is for the entrance located in the far right corner of the Cloister Yard. You are on Level Change (Cloister Entrance). Skip to the next section. The step(s) is / are located ahead as you enter. 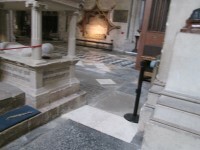 The Cathedral is almost 1000yrs old so floor surfaces are uneven. Care should be taken, especially by people using mobility aids. If attending an event people wishing to use the hearing loop should sit as close to the front as possible as the sound quality through the loop is poorer towards the back. 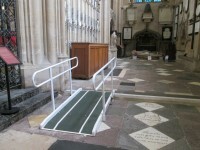 Wheelchair users attending major events are advised to contact the cathedral in advance in order to make sure that approriate seating can be made available. You are on Level Change (East End of the Cathedral). Skip to the next section. 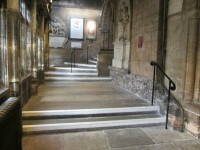 At the East end of the Cathedral there are a number of areas with a single step access. Each of these has either a permanent ramp or a temporary ramp permanently in place. 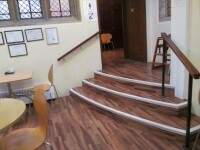 The floors which are accessible by stairs are Cloister, Chapter House and Cafe areas. The steps have a handrail in the centre. 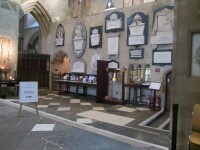 The services / areas on the floors which are not accessible are the Cloister, the Chapter House, the Cafe and toilet facilities. 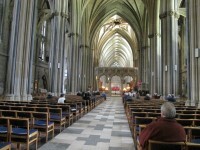 The steps between the nave and the cloister are uneven and of varying height. There is a central handrail to part of the flight. 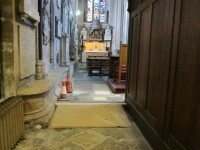 There are plans to improve access to this area which will be described on the Cathedral website when available. 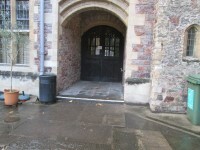 There is an alternative route from outside the Cathedral, through the arch, into the cloister yard and through the doors in the far right hand corner (Cloister Entrance). 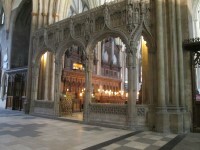 The nearest table is 4m (4yd 1ft) from the Cloister entrance. The distance between the floor and the highest table is 98cm (3ft 3in). There is limited seating at the Cloister Entrance level; most of the seating area and the serving counter is down three steps. 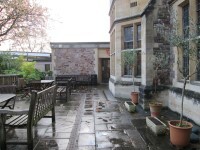 There is also a garden area accessed by two single steps. 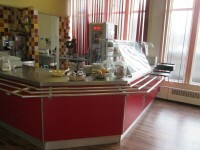 Staff will assist at any time with taking orders at the table and serving food. 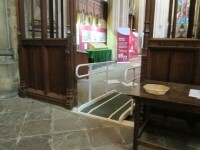 The accessible toilet is 7m (7yd 1ft) from the Cloister entrance. 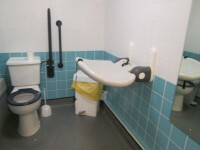 The dimensions of the accessible toilet are 155cm x 220cm (5ft 1in x 7ft 3in). The female toilets are located to the right as you enter. 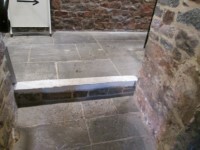 The female toilets are 8m (8yd 2ft) from the Cloister entrance. The male toilets are located to the left as you enter. 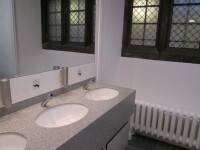 The male toilets are 12m (13yd 4in) from the Cloister entrance. You are on Level Change (Standard Male Toilets). Skip to the next section. 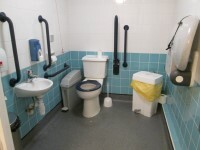 The assistance dog toilet area is located in rear courtyard.